The DC 80 project is based on a patented chronograph development named C51, based on the proven Valjoux 7750. The benchmark for the modification of the caliber 7750 was to significantly increase the readability of the chronograph function. For that reason we put our main focus on the technical realization of a jumping 60-minute stop hand out of the center. This new patented construction allows to record stoping times even more easily, faster and more accurately. The Lemania 5100 movement so far set a pattern for a clear and unambiguous readability. First: 60 minutes are now shown in just one complete turn of the center hand rather than the usual 30 minutes, while the assigned minute scale is counted over the full dial. The DC80 model signifies a new chronograph line with the most diverse increments of our new caliber C51. All parts required for the new C 51 caliber, such as plates, wheels, pinions, etc. 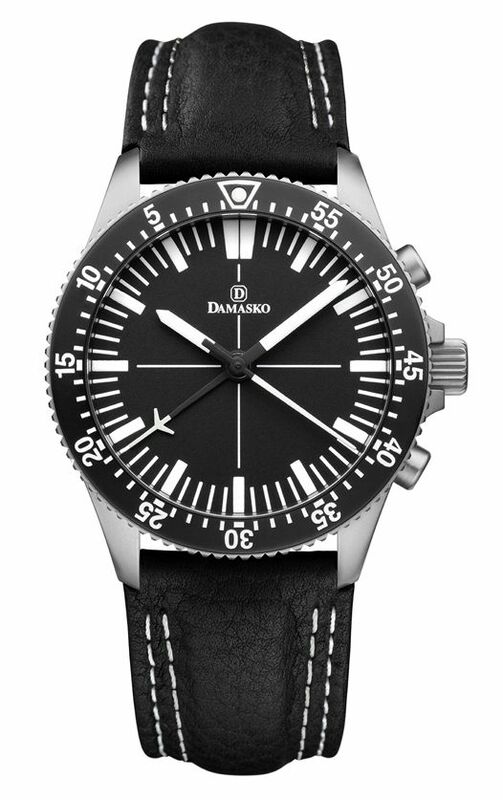 are produced in the Damasko manufactory. 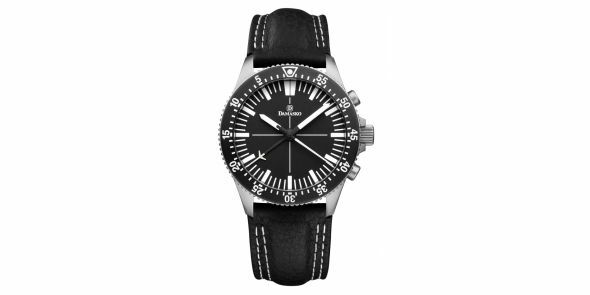 Calfskin leather strap with bead blasted steel buckle.